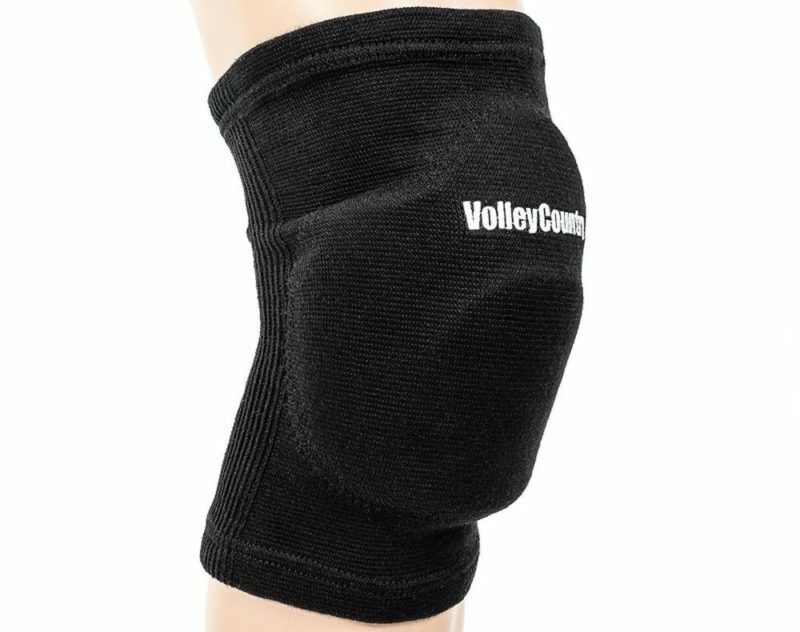 The manufacturer of these knee pads is VolleyCountry, which is a website dedicated to volleyball and all you need to know about this sport. The site debuted in 2004 and now is run by twenty volleyball enthusiast, who provide the latest volleyball news, helpful articles for volleyball players and fans, live results of different games, reviews of other volleyball-related websites and so much more. And now they even offer their own knee pads which are tailor-made for volleyball players of any level. VolleyCountry knee pads are manufactured and designed for volleyball players to protect their knees when diving or falling down. Although they are volleyball knee pads, these pads can also be used for other purposes, for example, they will be just as good for other sports or even things like gardening or cleaning the house. These knee pads provide all around knee protection with extra safety not only against injuring your knee but also protecting a large portion of your leg against scratches and bruising. As the pads are designed by volleyball enthusiast they are extremely comfortable, so you will be very pleased with how comfy VolleyCountry knee pads are. They won’t restrict your mobility, but at the same time, they still are very durable meaning that they will protect your knees against trauma. And the materials that are used to make these knee pads provide that the knee pads are breathable, yet your knees will stay warm in them. The VolleyCountry knee pads are available only in one color – black. However, their sleek design makes sure that these knee pads will look good with any outfit be it a volleyball uniform of your everyday clothes. And when it comes to build, these knee pads are longer and cover more of your leg than the average knee pad does, therefore providing better protection for your leg as well as more comfortable fit. These knee pads come in two sizes – large and extra-large. Size large corresponds to 12 to 13 inches (30 – 33 centimeters) in knee circumference around your patella, whereas the extra-large to 14 to 15 inches (35.5 – 38 centimeters). Overall, VolleyCountry volleyball knee pads are extremely well-designed, because the creators of these pads understand what kind of product volleyball players need. They have managed to create an excellent product, which is not only very comfortable and durable, but also will provide full protection for your knee cup as well as the area around it. Additionally, these knee pads also won’t restrict your mobility, yet will provide safety for you knees during games and training. The only downfall for these knee pads is the sizing because they come in only two sizes – large and extra-large. Therefore, you have to be careful when determining if these knee pads will be the right fit for you.